Hendrick Herkimer settled the property in the late eighteenth century in Schuyler Lake, New York. 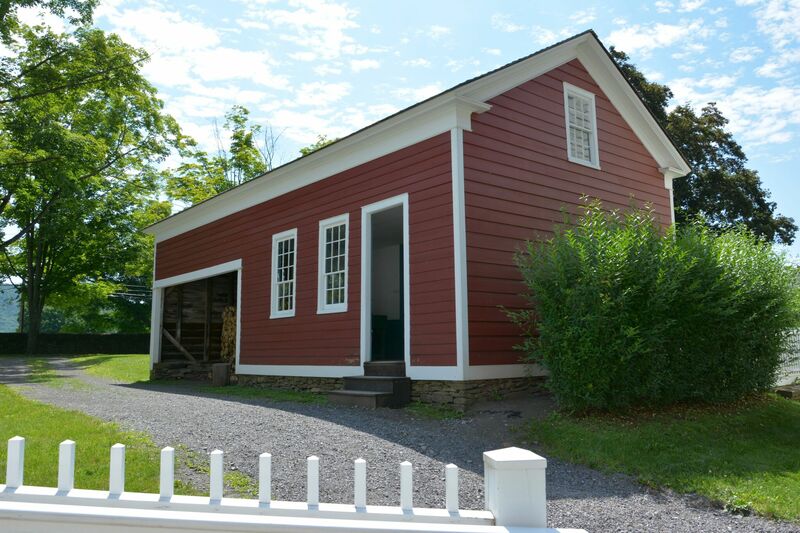 This particular building was built in the 1820’s and was an attached kitchen of a one and a half story home. The building was moved to the Farmers’ Museum in 1999 and serves to house firewood as well as a great exhibition of stoneware. The Herkimer Kitchen houses a lovely exhibit on salt-glazed stoneware. Stoneware was the plastic-ware of its day, serving as food storage for nearly a century. Between 1800 and 1900, nearly 265 potteries produced stoneware in New York State. 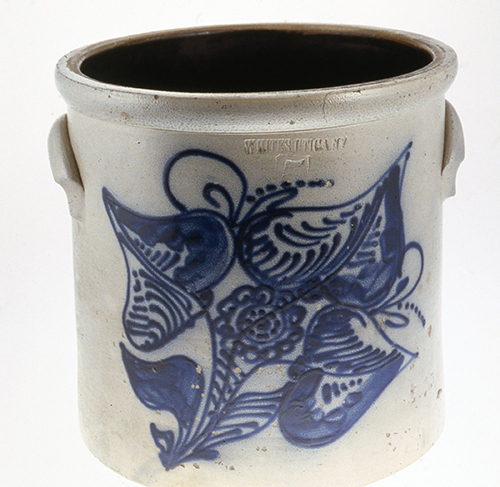 Often these large crocks and jugs have fanciful blue decorations of people, flowers, abstract shapes, and animals.